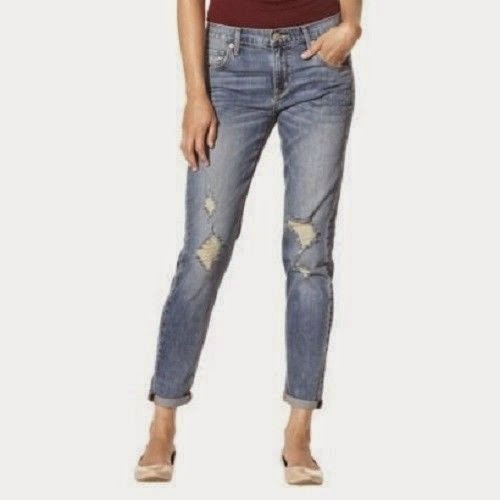 StyleFile: Edgy Destructed Jeans – Fashion, Makeup and a Double Latte! February 20, 2015 April 5, 2016 Fashion Make-Up and a Double Latte! Today’s Blog is all about Styling Deconstructed Jeans! I Think EVERY Diva can benefit by having at least one pair in their wardrobe. 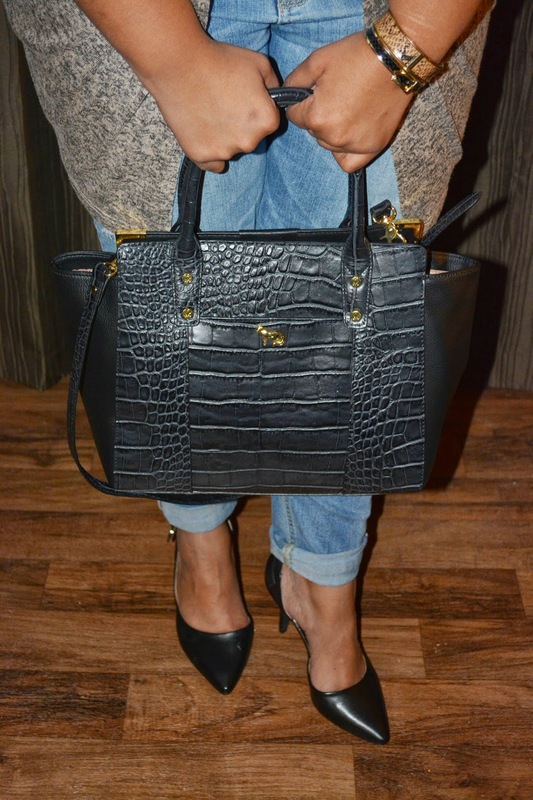 It gives a cool vibe to many classic and casual pieces in your arsenal! So, lets talk about the Jeans! The Jeans I’m wearing are Mossimo from Target. They were $29.99. I will say that I bought mine (In a size 18 Missy) when they first came out so mine are VERY worn in. The Holes…are, well….Holes. lol! But I Love them! They were a bit looses befor the CupCakes attacked my Thighs, but its nice to know that as Im loosing weight…they Could still be the Boyfriend Fit the were intended to be! Wanna how I Styled them??? Okay! Here you go! The First look is a dressed up casual look. 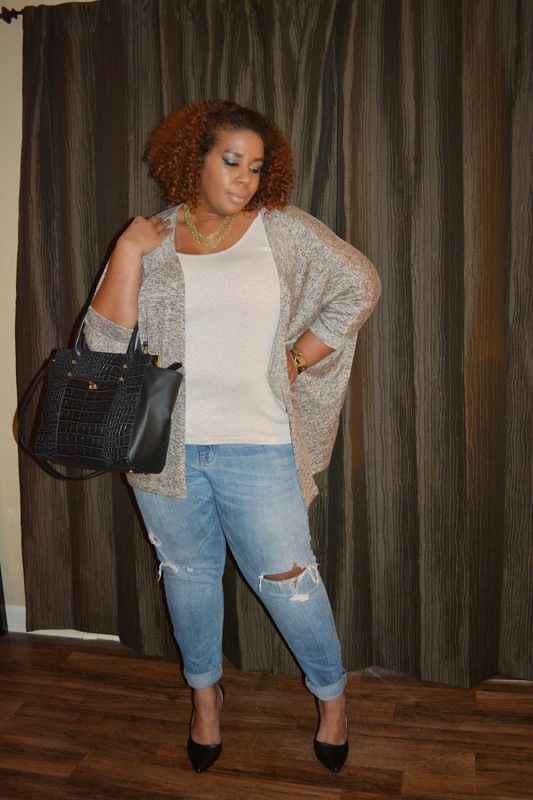 I paired the Jeans with a Simple Oatmeal Colored Tank Top from Target, Cha Cha Vente Bat-wing Cardigan from Burlington, Emma Fox Black Winged Tote from HSN and some Adorable (And Comfortable!!!!) “Dorsey” Heals From Lane Bryant. I also Piled on 2 Spring Clasp Bangles, One Daisy Fuentes (snake print, Past Season) From Kohls and the Other (Black/Gold Buckle) I Honestly don’t remember where I got it! LOL! Ok…Here’s One more Outfit! Here Goes!! This outfit has a very Lady-Like Rocker Chic Feel. 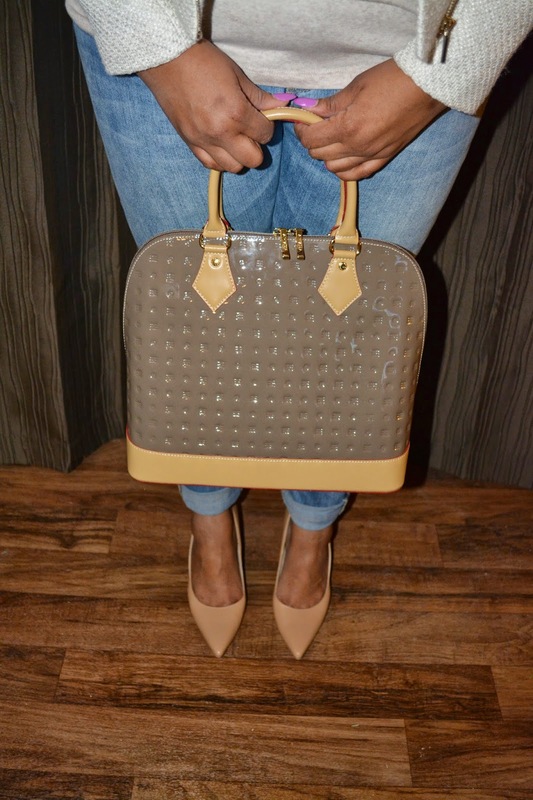 This look includes the FOILED BOUCLE MOTO JACKET, which is sold out (Past Season), the same tank from the Earlier Outfit and a Beautiful Taupe Arcadia Handbag with Tan Trim. Well Thank you so much for viewing my Style File!!! 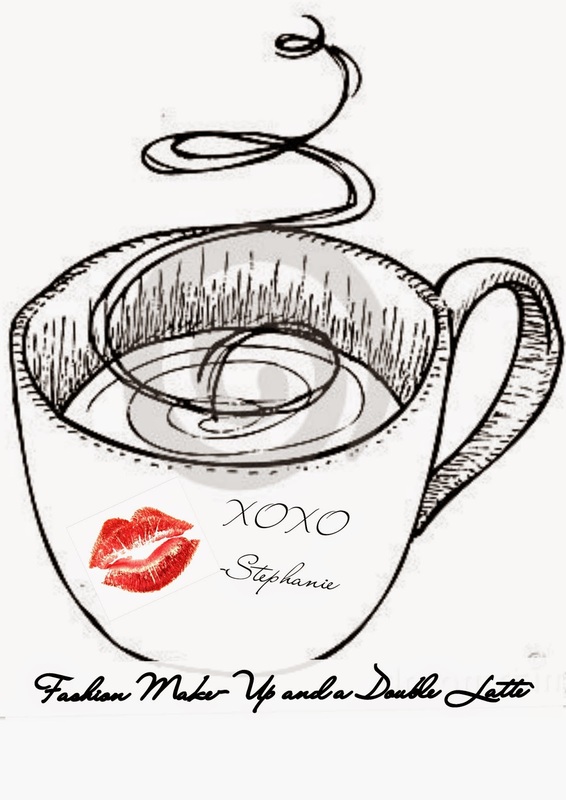 Stay Fabulous My Lovely Lattes!!! Previous Post The CYCLE MUST BE BROKEN! : Achieving Goals and How to Overcome Struggles! Next Post Pumpkin Spice Chronicles: Fall Accessories!